This Essential Oil Set has everything you’ll need to create your own aromatherapy experience. With the use of a diffuser (not included) you can turn your home into a soothing spa, invigorating workspace or refreshing oasis. Follow our favorite blend recipes or formulate your own. The kit includes five 10 mL bottles of pure essential oils. Essential oils are concentrated, volatile, aromatic liquids obtained from the fruits, seeds, flowers, bark, stems, roots and leaves of plants. These oils have been used for centuries for both their healing and aromatic benefits. Lavender, perhaps the most well-known of the essential oils, is renowned for its many beneficial properties, including promoting calm, relaxation, and being a nervous tension reliever. Lavender essential oil has a sweet, dry, herbaceous-floral scent. Peppermint is stimulating, and when diffused can help uplift the spirit and enhance alertness. It can also relieve the discomfort of an upset tummy, and support healthy digestive and respiratory systems. Peppermint’s high menthol content has a cooling effect which can help when you are feeling under the weather and is also great for discomfort. Peppermint essential oil has a fresh, cool, grassy-minty scent. Lemon is one of the most easily recognized oils because of its refreshing, energizing and uplifting scent. It can help support a healthy immune system and is also frequently added to spray cleaners. Lemon essential oil has a strong citrus scent. Clary Sage essential oil is the perfect balancing oil to help ease symptoms caused by women’s hormones. It can be used for problems associated with the menstrual cycle, including helping ease sadness, supporting a more tranquil mood, calming a restless sleep, and body puffiness. Clary Sage essential oil has an earthy, fruity and floral aroma that is both nutty and herbaceous. Frankincense Carteri essential oil has been used for thousands of years as a spiritual incense, folk medicine and in cosmetics. It is used for bruising, swelling, sores and pain from traumatic injuries. Frankincense Carteri is used in serums and face creams to rejuvenate mature skin. It is also used as an immune system support. Frankincense Carteri oil has a green, balsamic, lemon-wood odor. 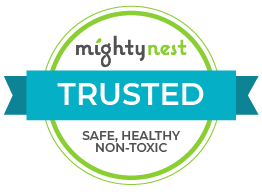 We chose Plant Therapy essential oils because their standards of quality are some of the strictest in the industry. They do everything possible to establish that their oils are of the highest quality for use in aromatherapy. Plant Therapy buys oils from top suppliers around the world and works directly with a world-renowned essential oil expert. To guarantee continuous quality, each batch of Plant Therapy’s oils are tested by a third party laboratory using GC/MS testing, as well as by in-house experts. This ensures all of Plant Therapy’s oils are 100% pure, undiluted and free from any additives, chemicals or pesticides.